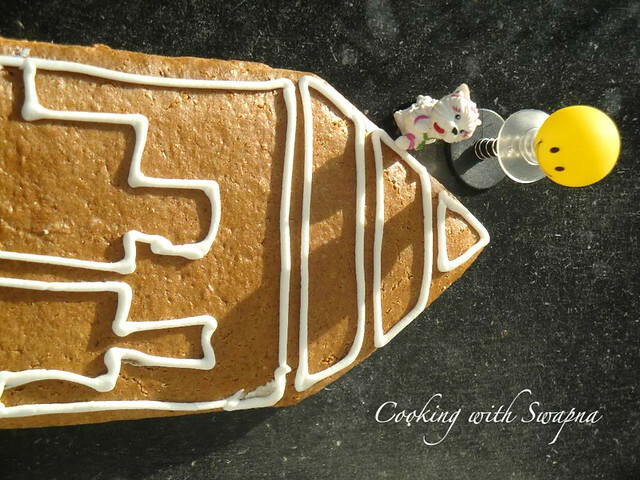 My christmas baking starts with this delicious gingerbread. It taste delicious with the flavour of ginger, cinnamon, cloves and nutmeg powder. 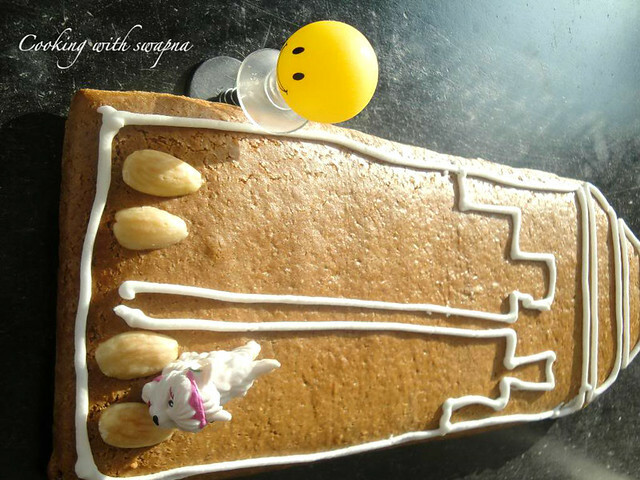 There are many ways to decorate this gingerbread. Here I used the confectioners frosting for the decoration. Instead we can use the raisins and nuts too. And this recipe is adopted from "Joy of Baking". 1. Sieve together the flour, baking soda, all spices and salt. 2. Cream the butter and sugar until light and fluffy. Add the egg and molasses and beat until well combined. 3. Gradually add the flour and mix. 5. Roll the dough into desired shape. Preheat the oven at 350 F and bake it for 10 mins or until done. 6. Beat the butter and add vanilla extract. Gradually add the powdered sugar & finally the milk and beat until the frosting is light and fluffy. 7. 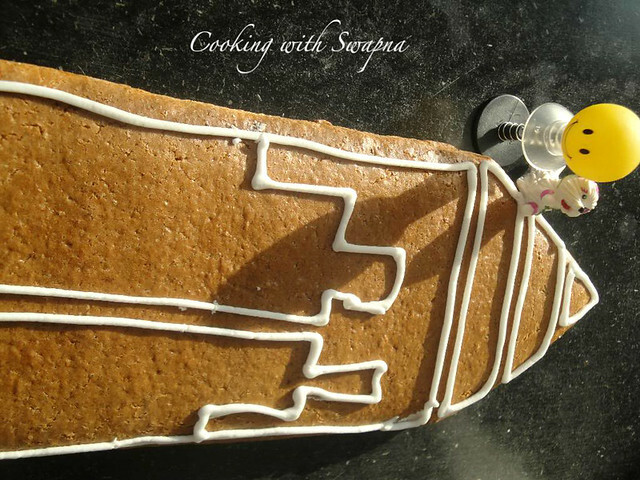 Decorate the gingerbread with the frosting.